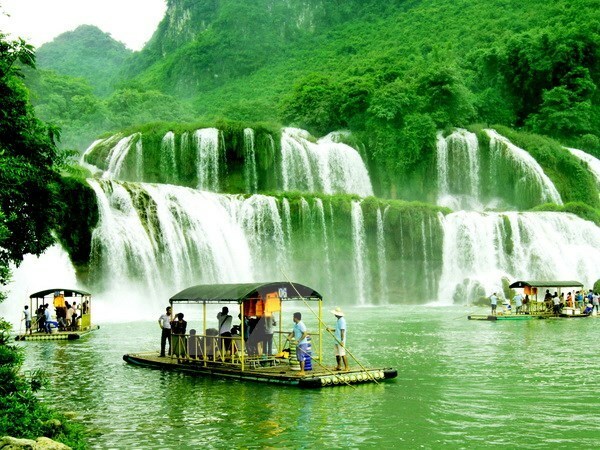 The fourth round of negotiations on an agreement on cooperation in protecting and exploiting tourism resources within the Ban Gioc Waterfall vicinity between Vietnam and China ran in Beijing from August 2-6. The Deputy Head of the Vietnam Foreign Ministry’s National Boundary Commission led the Vietnamese delegation to the event, while the counsellor from the Chinese Foreign Ministry’s Department on Boundary and Ocean Affairs headed the Chinese delegation. Both sides discussed issues of mutual concern frankly and reached consensus on all draft contents of the agreement. They agreed to speed up their domestic assessments of the pact as well as the organisation of the next round for signing preparations.